In the ESMS Sixth Form, our aim is to create a co-educational community of students with its own identity and individual approach which helps to prepare students for university. Young men and women make new friendships and prepare together for life and university study. They enjoy an experience that is demonstrably different from what has gone before. They learn to be independent, responsible and self-motivated students - rather than pupils - while fully contributing to the shared community life of our schools. During their final year at school, students enjoy a genuine pre-university experience. They are divided into small tutor groups with a personal tutor who directs them towards more independent and creative modes of thinking, writing and behaving. Tutors also offer help with UCAS statements, preparing for university interviews and providing references both informally and through our guidance structure. While the majority of our Sixth Form have been with the ESMS family of schools for many years, we do have a small but growing number of students who join us for their final school year to take advantage of the pre-university experience as well as the opportunity to become involved in other areas of school life, including Sport, Music, Performing Arts and extra-curricular activities. For those students who live further afield but want to take advantage of a pre-university year, we offer daily coach services across Edinburgh, the Lothians and Fife. We also offer boarding on a full-time, weekly, termly or temporary basis. Find out more about Boarding. The twin Sixth Form Centres provide excellent facilities across both school sites. Sixth Formers enjoy an environment conducive to independent study and relaxed social opportunities. The custom-built Common Rooms are ideal for reading papers, having coffee and meeting with peers and tutors. The Study Areas are quiet places for reading and research. 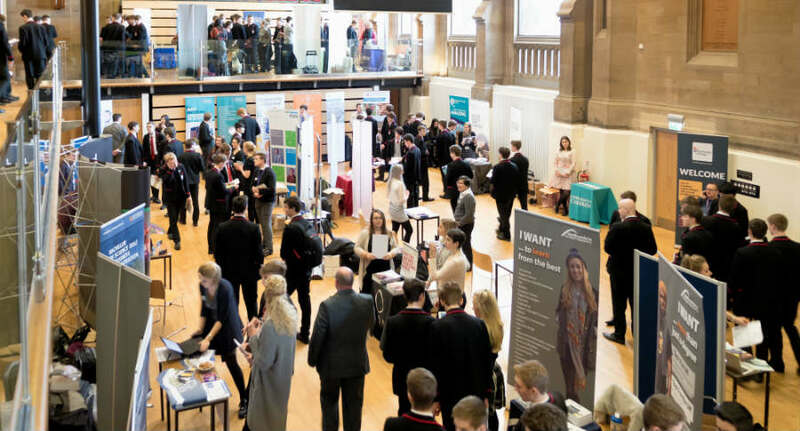 The ESMS Sixth Form provides expert guidance from Careers and UCAS advisors, consulting with students and their parents about the best courses for their interests and ambitions. We also help students who choose to take a gap year to select worthwhile and rewarding projects. Our aim is always to ensure that students identify educational paths which reflect their ambition and enthusiasm and which ensure that they are personally and academically fulfilled and challenged. All Sixth Formers are prefects. Their duties provide a meaningful way to experience adult responsibility and leadership. Students help to run the school at lunchtimes and they represent the school at evening events. They play a role in community service, whether as a class buddy within ESMS or in other schools in Edinburgh or through a commitment to helping others throughout the City of Edinburgh. By the time they complete their ESMS Sixth Form experience, our students are prepared for university and for life. Find out more about life after school at the links below or click here for Sixth Form Admissions information.